For years, Prasco & Associates, PC has been providing quality, personalized financial guidance to local individuals and businesses. Prasco & Associates, PC's expertise ranges from basic tax preparation and accounting services to more in-depth services such as compilations and reviews, business advisory services, and fraud investigation. Prasco & Associates, PC is one of the leading CPA firms in and throughout Northwest Indiana and the Chicagoland area. By combining our big firm expertise in a small firm setting we assure that every client receives the close analysis and attention they deserve. Our dedication to high standards and a strong work ethic is the reason our client base returns year after year. Our mission is to help clients maintain financial viability in the present, while taking a proactive approach to achieve future goals. This requires open communication to reach an understanding of our clients' needs through research and sound analysis. Prasco & Associates, PC is dedicated to meeting these goals with high standards of excellence and professionalism. We have been a staple of Northwest Indiana's business community for years, and pride ourselves on the level of esteem we have earned. Our dedication to hard work has earned the respect of the business and financial community in and around Northwest Indiana and the Chicagoland area. We believe this to be a direct derivative of our talent and responsiveness to our client base. Whether you are a current or prospective client, rest assured that individuals and businesses who choose Prasco & Associates, PC receive competent and timely advice. Mary Kay Prasco began her public accounting career in the tax division of Arthur Andersen in Chicago over 25 years ago. She gained valuable tax and consulting experience working on high profile corporations and individuals which she capitalized on to start her own firm, Prasco & Associates, PC. She brings Big Firm expertise to a small firm setting. 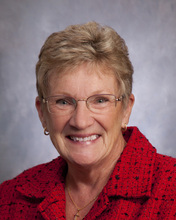 Mary Kay enjoys meeting one-on-one with clients and being personally involved with their tax and accounting needs. Mary Kay holds the esteemed credential CFF, Certified in Financial Forensics, and has been actively working in the area of forensic accounting. Mary Kay is a graduate from the University of Iowa and is a member of the American Institute of Certified Public Accountants, the Indiana CPA Society and the National Society of Accountants. Mary Kay is active in her community and shares her time and talent with several not-for-profit entities. 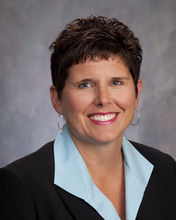 Tracy Caldwell is a Partner in charge of the Firm's tax department. 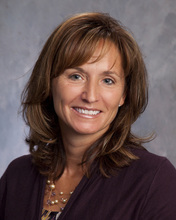 Tracy worked as a tax manager for over 20 years before joining Prasco & Associates, PC. Throughout her career, Tracy has specialized in providing tax services and general business consulting to closely-held businesses and owners. She has experience with a variety of industries including auto dealerships, construction, retail, real estate, manufacturing, transportation and service. Tracy's expertise includes corporate and individual tax planning, representation before the IRS and multi-state tax issues. Tracy is a Purdue University graduate and is a member of the American Institute of Certified Public Accountants, the Indiana CPA Society and the Crossroads Chamber of Commerce. 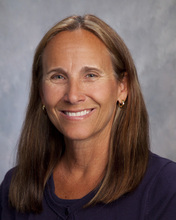 Debi Laidlaw is a Senior Tax Accountant with over 25 years of accounting and tax experience. She specializes in the areas of Corporate, Partnership and Individual Taxation. Debi is proficient in Quickbooks and works closely with clients to assist them with their monthly and annual accounting needs. Debi has her accounting degree from Baldwin-Wallace College in Berea, Ohio. Robyn Williams is a Senior Tax Accountant and has over 15 years of tax and accounting experience. Robyn specializes in working with small business owners and provides hands on consulting services to a variety of industries. She is proficient in Quickbooks and Peachtree. Robyn is a 1998 graduate of Indiana University Northwest. 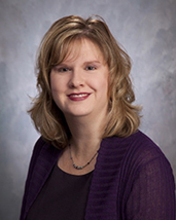 Tammy Mowery is a Senior Tax Accountant with over 18 years of tax and accounting experience. 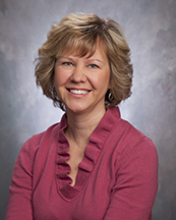 Tammy specializes in individual taxes and provides tax planning to a wide range of clients. Tammy is well versed in Quickbooks. She provides monthly and annual accounting services for small businesses. Tammy is the Portal Administrator for the firm. Sue Bachman is our tax season administration support staff. She assists us with all types of staff and client needs at our busiest time of the year. Sue is an integral part of our team.